We realize how expensive it can be to buy, maintain and service a BMW. But after all, you chose a BMW for its good looks, dependability and comfort, so you deserve the best. That’s why you should rely on Bimmers Only for BMW repair in McKinney TX. With 50 percent off dealership prices, you get peace of mind knowing you’re not overpaying for services like you would at the dealer. Plus, we boast skilled, highly trained service technicians who focus solely on BMW repair, from leak repair to brake jobs. In addition to skill and expertise, you get friendly customer service, competitive prices, a 100% satisfaction guarantee, quality factory parts, comprehensive services and short wait times here at Bimmers Only, your trusted BMW repair shop in McKinney. We have two convenient locations in Plano and Dallas, easily accessible for residents of McKinney, the county seat of Colin County and second in population to its neighbor Plano. Home to 161,000 and part of the Dallas/Fort Worth metroplex, your city was named the country’s fastest-growing from 2000 to 2003 and again in 2006. Keeping up with service on your BMW is more important than ever. You have places to be, people to see, and you need a reliable way to get there. That’s where Bimmers Only comes in. We offer a convenient option for you to get quick service, and on those times where you have to leave your car, we make sure the work is done quickly and efficiently, or we set you up with a rental to minimize your inconvenience. 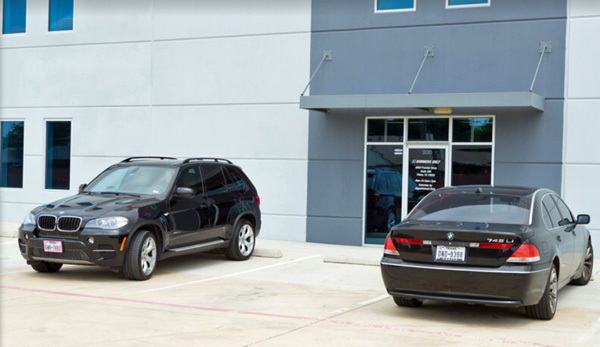 Have you been searching for a quality BMW repair shop you can trust in McKinney? It’s a no-brainer to select Bimmers Only, with two convenient locations in Plano and Dallas. We’re proud of the personalized relationships we form with our customers, with the goal to treatyour BMW like it’s our own. Come see why so many of your neighbors rely on our customer commitment and level of service when it comes to BMW repair. We have many appointments available to fit your busy schedule, so contact Bimmers Only now in Dallas at 469-585-7718 or Plano at 469-585-7754. Our shops are open Monday through Friday from 9 a.m. to 7 p.m. and Saturdays by appointment.